My first theatre review was published a year ago in June, but I attended my first show with the intention to review a year ago this month. 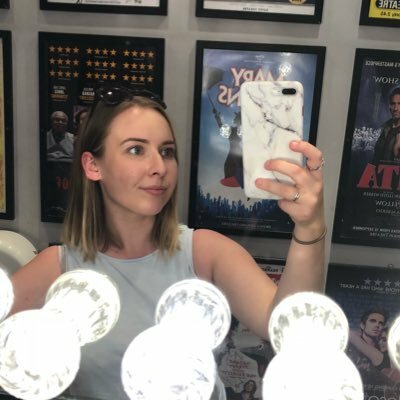 I absolutely adore going to the theatre (can you not tell from the fact I saw thirteen shows last month and only four of them were press tickets? ), but when I review I tend to just rave about things. Now I’ve made it to over 40 shows in that time, and I’ve finally realised what I really like about productions and what makes them fall flat for me. From now on, I’m giving a real rating but I wanted to explain that rating to you a little more. I am a scientist at heart. Whilst I’d love to be able to work in the theatre, I never had the talent (nor the drive to be honest; I used to have to force myself to go to ballet lessons in my teens) to be on the stage and I didn’t even know you could do qualifications in things like stage management. I have a degree in Medical Genetics, and I work as a lab technician in a college by day and fit my theatre-going around this. Now I want to be able to combine my two loves: theatre and science. And by science, I mean statistics. Rating shows out of 5 stars has never been something that works for me, and when I read reviews that people write I never think their rating aligns with their comments. Instead, with a number of shows under my belt in the past year, I’ve decided which ten categories catch my attention during a production and can judge my rating on these. I do consider all the points I’m about to make when I write a theatre review, but I want to be a little clearer from hereon in. For musicals, the categories I will be rating against are plot, lead performance, ensemble performance, score, choreography, lighting design, sound design, set design, costume design and audience engagement. For plays, the categories differ slightly, with score being removed. Choreography is still vital in plays, but feature in a different way and is therefore still an essential category. If a category is not applicable for a particular production, I will remove that. I will be taking into account the actual production value too. For example, I will be more critical of West End productions to more amateur showcases for the simple reason that they have more devices at their disposal and should theoretically be much better to start with. Plot: Does the storyline make sense? Is it easy to follow? Is it exciting? Lead Performance: Are they convincing? Can they carry the show? Are they easy to understand? If it is a musical, what is their singing like? Can they keep up with the ensemble in terms of dance ability? When there is celebrity stunt casting, lead performances are often the let down. Score: Particularly important for musicals, did the score keep me interested? Was the score relevant to the production? Choreography: Was the choreography anything groundbreaking or was it a little too basic? This can be choreography in terms of dance, but also includes fight scenes and general blocking of the performance. Lighting Design: How is colour used? Has the designer considered the areas of light on the stage? Is the show lit for the entire performances, or are there moments of dark? Sound Design: Separate to the score, what are the moments of music like? Or maybe there isn’t any. Does it set the scene, or take away my attention? Set Design: Whilst this will vary a lot from show to show, is the set something different? For example, some shows have just one setting and therefore require a different comment to a show that has multiple sets. I will discuss intricacies, or a lack of, and question whether the set works for the production. Costume Design: Does the costume fit the piece? Do the actors look like they can move comfortably in them? What is the detailing like? This will also include wigs and makeup. Audience Engagement: How did the audience respond to the production? Was the fourth wall broken to include the audience, and did this work for the show in question? I will also be passing comment on my particular seat, experience in the theatre (with front of house staff, facilities etc) and the audience’s to a show, if applicable. For example, the average audience member you expect to find at Mamma Mia is very different to that at a production of Hamlet. I have very strong opinions on audience etiquette, and I feel like a lack of can very much take away from a performance. Whilst I take the theatre very seriously, I feel like I want to write for everybody. I don’t want to write reviews that seem pretentious; I want to be able to talk about the full theatre going experience. The view from the back of a balcony, and therefore the ‘worst’ seats in the house will have a totally different feel to the top price ‘premium’ seats and I want to be able to discuss this in my reviews. I do want to make this clear and these additional comments won’t change the star rating as that is to do with performance alone. I have loved reviewing theatre for the past year, and I can’t wait to keep doing it. I’m sure so many of you follow me for the beauty content, and there will still be some but honestly, theatre is what I love. It’s what I enjoy spending my time doing, and what I enjoy spending my money on. But it obviously couldn’t be possible without the wonderful PRs out there that want me to review for them, as I could not afford all these trips without you providing the tickets for me (although it is still quite a small percentage of my total shows, every little helps). I actually love every press release that falls into my inbox, and even if I can’t get to the production thanks to working full time, I’m making it my mission to start talking about the brilliant shows that I hear about. Just because I can’t make it, doesn’t mean one of you can’t.